People get very attached to their pets, sometimes in such a manner that they consider them as their kids. It is thus essential for those people to make sure that their beloved animal has all that he or she needs to have a good life. From the basic dog house to toys, ID tags, exceptional food, hair removal gloves or a dog coat, your pup can benefit from a lot of products, so here are some of them reviewed. GPS trackers have become an almost indispensable item for pet owners, especially for those owners whose pets like to roam a lot. This Whistle tracker and activity monitor is at their third generation, and it uses advanced cellular and GPS technology to spot your beloved animal location anywhere in the U.S. on AT&T. It has a long battery life — up to 7 days. It helps you follow your pet’s steps in the visited locations over the past 24 hours, but it comes with a subscription plan and the need for the good cellular signal to work correctly at all times. This foldable metal pen from MidWest has the purpose of providing a pet with space to play, while still keeping him in the place you want him or her to be. It creates a 16-square-foot area and can be set up within seconds. For more space, the pet owner can get more pens and connect them by locking them together. It provides two door latches so that the pet doesn’t have an easy time escaping and the construction is solid and weighty, but the welding clamps that connect the panels have sharp edges that can cause injuries to hyperactive pets. It is a known fact that dogs eat as most as they are given, in the fastest time possible. Taking this into account, interactive dog bowls that make eating more difficult and more time consuming, like this one from Kyjen, are essential. This model comes with different sizes and models for different breeds and snouts. It is best to use it on a flat, sticky surface, as the base will adhere better. Veterinarians recommend the bowl as it aids digestion and prevents bloating. The fact that it is so good at slowing how fast your dog eats from it comes with the disadvantage of being harder to wash.
Lots of dogs love to play in the mud. For those that get mud all over their fur, there isn’t much to be done but washing the animal. But for a small play in a messy situation or even a walk in wet weather, you can use the portable dog paw cleaner from Petcabe. It is a compact and comfortable foot washing cup. It gets in those places harder to reach on a dog’s paw, like under their nails. You need to make sure that you get the right size for your dog and, although it can be a bit difficult, you also need to clean the cup properly. Along with a tracking device that helps keep tabs on your pet, a surveillance camera will be useful when you are away but still want to keep an eye on what your pet is doing at home. This one is easy to set up; to start using it pair it up with its app, and it will work. The image is very clear, it can take pictures, videos and there is also a two-way speaker. If you are not a fan of giving permission to your phone, please be aware that the app requires permission to a number of your phone’s features. Another device that is especially useful when you are not at home is the self-dispensing feeder and waterer. This one has a leak-proof cap, so you don’t need to worry about water on your floor. You need to make sure that you connect the bottles and the feeding/drinking tray correctly, otherwise there will be some issues. The water flows very well and consistently, but the feeder needs to be shaken a bit if your pet wants to get all the food in it. It has the advantage of being very easy to clean, so you can make sure he or she eats from a clean place. Although Spikeball is a sport in itself, the balls used in it are highly appreciated by canines, as well. What makes them suitable for dog play is their durability; as it is the case with these balls that also glow in the dark. They are suitable for your dog to nibble on, and now that they glow, they can also do that at night. However, take into account that this is not a product designed for dogs and unless your pet is a junior, you might have to replace the balls often, as they will deflate. There are endless ways to make the most of your time with man’s best friend. Being a dog owner is a huge responsibility, which is why you have to pay attention when it comes to choosing a gadget for your animal. There are many factors to take into account when making this decision, and the best dog gadgets are based on different criteria, varying from their personality, to their breed, their age or simply your relationship with them. The best dog gifts are not easy to come across, especially when you need good dog gadgets to keep your animal entertained and respond to its personal needs. Reading tons of dog gadgets reviews can become frustrating, as most of the new dog products for sale tend to seem perfect for your animal at a first glance. This is why, before making a dog gifts comparison, you need to establish a number of criteria that are most relevant for your purchase and for your animal’s happiness. At the same time, aside from looking at aspects that describe your animal’s needs, you also need to focus on the gadget’s functionalities, endurance, and overall quality. Making this decision based solely on what your dog is like could translate into a poor choice of the product’s professional specifications. Given the plethora of products that you may find both online and in pet shops, we’ve decided to take the matter into our own hands and put together a short guide to help you decide on the most important criteria that you should be looking at before making any decision. We hope that the information our specialists have gathered will help you make a more informed decision for your pet. 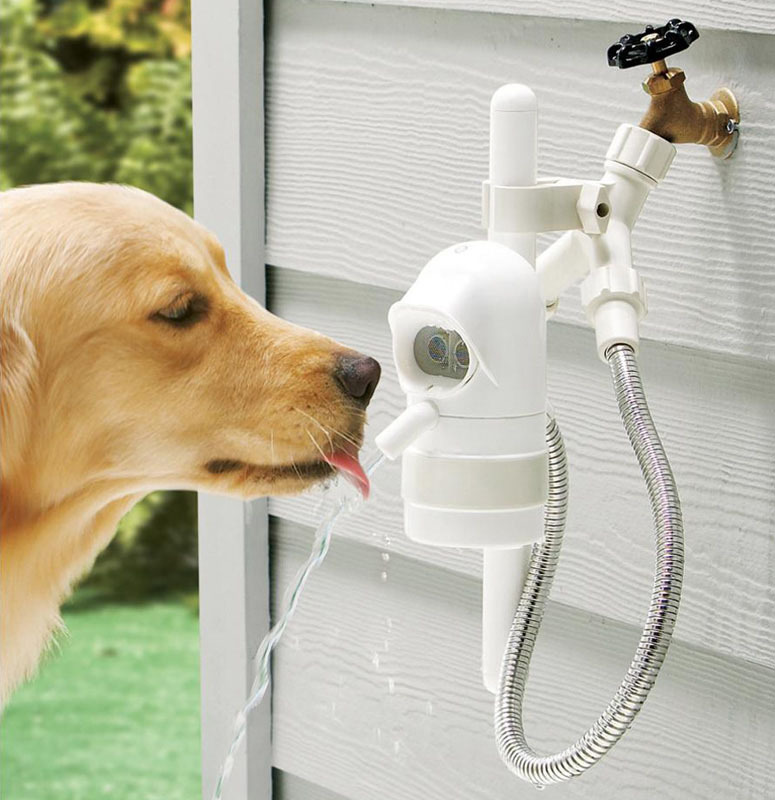 Of course, gadgets are cool, and not just for animals. It is time we admitted that owners also have fun when their pets are in perfect sync with the latest tech trends. However, as this is never an easy choice to make, the first thing that an owner should always look at is safety. What is more important than having a hip pet is having a healthy pet living a happy life? Some of the gadgets you may find out there may be cool, but some of them come with associated risks. For instance, maybe you should first think of choking hazards before buying a new smart leash for your dog. But this type of concern doesn’t apply for all kinds of pets, which is why these safety tips have to be read with a personal note in mind. For instance, an older dog is less likely to be eager to explore its surroundings at all times. This makes it safer from choking hazards compared to a little puppy who is always energetic and looking for adventures. Consequently, if you want to buy a very engaging toy for your pet, you may consider its age as well. While we do agree that tech toys can be really engaging for our little friends, we should also note that overly working an older dog may have its associated health issues. Just like humans, dogs’ ages matter when we think of their activities, and not taking simple matters of safety into account can result in health hazards that are otherwise so easy to prevent. Just like our cultural and environmental conditions affect the way we turn out to be, dog’s breeds and their specific training and education are highly important when trying to enhance their lives with technology. Not taking nature and nurture into consideration would be like being one of those people who always give generic gifts to their friends and, given that we’re our dogs best friends, we’re not in the position to do this. 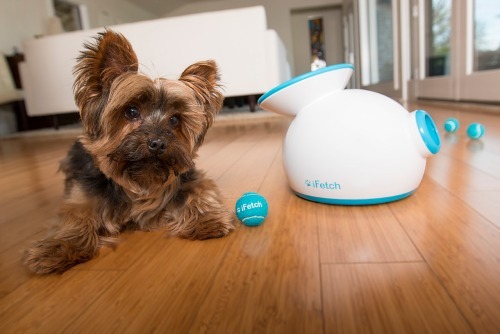 Putting effort in finding the perfect gadgets for our pets is a sign of appreciation. Moreover, given that we’re trying to fill in a need with a useful solution, the type of dog and its personality become highly relevant. The dimensions of your pet are only part of the answer you are looking for, as different breeds can have very distinct personalities even when they weigh the same amount. If you have a large dog breed with a powerful personality and a lot of energy to spare, your gift gadget may differ from a person who owns an equally large dog with no interest to engage in demanding physical activities. Once you’ve figured out what type of gadget your dog may need and make use of most, you should go to the following level of criteria: the ones concerning the overall quality of the product you’re trying to buy. If the previous factors were dog-specific and depended a lot on the type of pet you have, the gadget quality can be measured through relatively similar indicators, regardless of your choice. For instance, one of the aspects you may want to take into consideration is the product’s warranty. If a product is specially designed to last for a long period of time, the company selling it would have no interest to apply a one-year-only warranty policy. Another factor that may matter here is the type of material that the gadget is made of. Depending on this, the overall usability of the product could differ significantly. For instance, a waterproof device is a little more resistant compared to a non-waterproof peer, especially if you have a dog that enjoys swimming. Similarly, the obsolescence of the product should be taken into account. Considering you’re buying this gadget now, would it be more convenient to invest into a power product that could be used in 10 years from now, or do you wish to buy a cheaper product that only lasts a year or two, and then replace it with a better device? In order to answer this question, both the type of gadget and the dog-specific traits have to be considered.